Tripling the size of Canada’s busiest transportation hub is an enormous and sometimes messy undertaking. 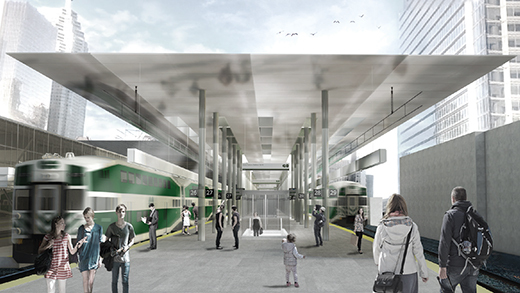 We’re building the infrastructure for two-way, all day transit with 15-minute service or better within the most heavily travelled Metrolinx-owned rail corridors, twice the train trips during rush hour and four times the number of train trips outside of rush hour and on weekends. To support this massive expansion, we’re also adding signalling systems and larger platforms at the station, while improving the tracks and corridors feeding into it. We’re making these improvements in a 100-year-old building while keeping transit services moving every single day. 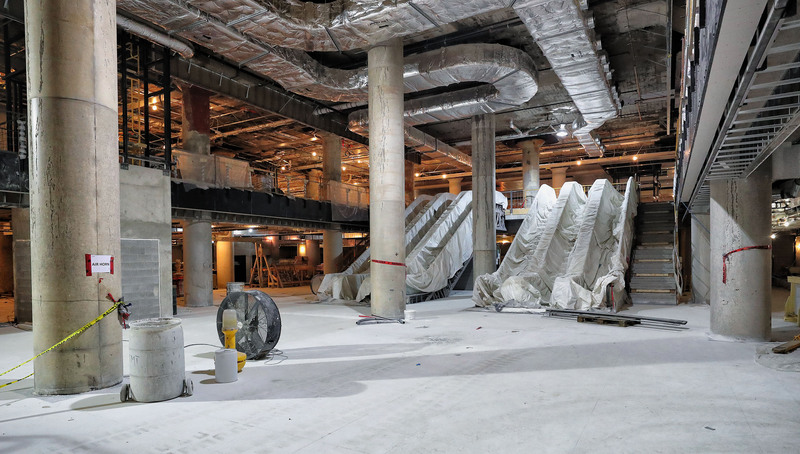 We’re putting you first by trying to minimize service disruptions during the renovation by tackling the construction in phases. 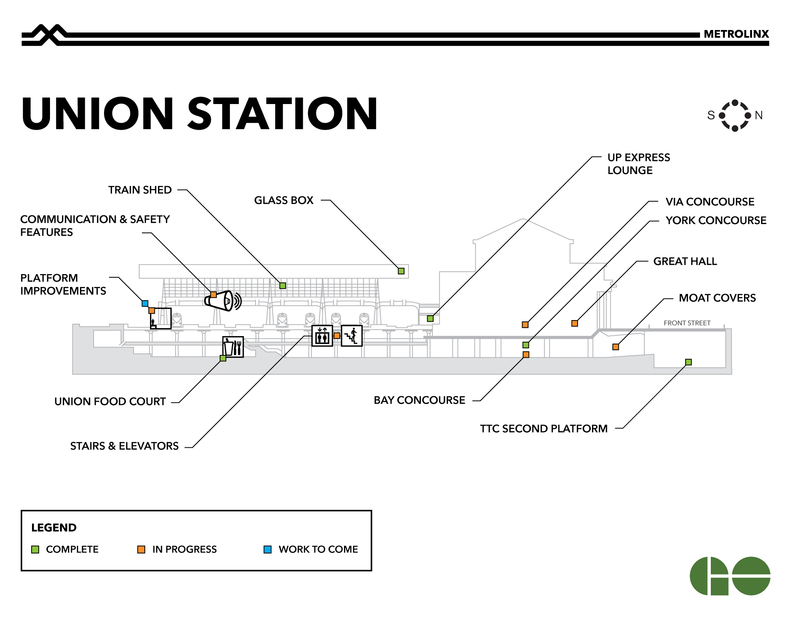 The City of Toronto is working to revitalize the portions of Union Station it owns, including the Bay Concourse, Great Hall and VIA Concourse. During this work, you may see some changes to construction fencing when you enter and exit the station, especially around the teamways and entrance to the TTC. For more information on those projects, please visit the City's website. 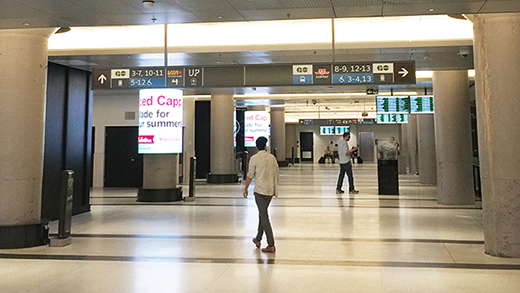 On the platforms, infrastructure is being installed to support new digital signs, security cameras, lighting and an improved PA system, along with the wiring needed to ensure these devices work even if the power goes out. To ensure you stay a safe distance from the platform edge, we’re also installing wider yellow tactile tiles. The ticket counter in the Bay East Teamway has closed permanently in preparation for construction in the area. You can buy tickets or load your PRESTO card using ticket vending machines or visit ticket booths in the Union Station Bus Terminal or in the York Concourse. Starting later this winter we’ll be renovating flooring, windows and doors. We’ll provide you with more information about construction as soon as it’s available. The stairs from the Bay West Teamway to Platform 3 are closed for repairs. 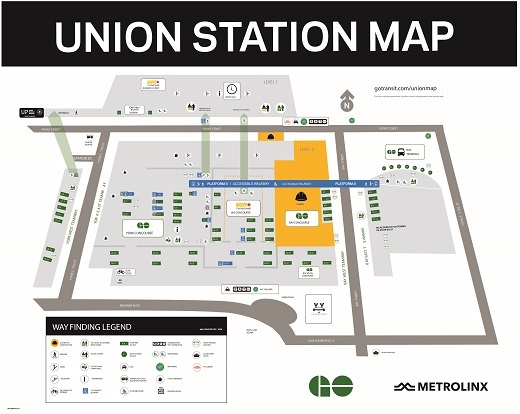 If you usually enter Union Station from the east side of the station, you can access that platform from the east side of Bay Street instead. Stairs and elevators to Platform 3 from the York Concourse and west of the Great Hall remain open. The new Union Food Court is now open! 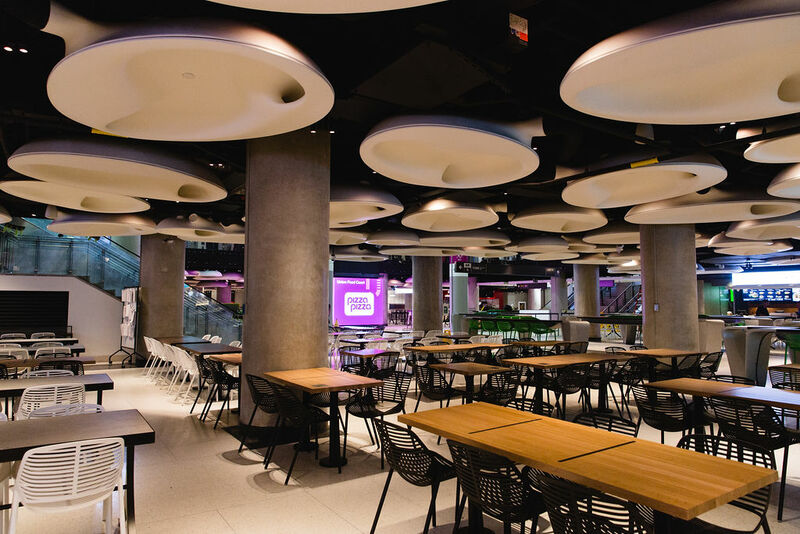 Accessed from the north end of the York Concourse, the 25,000 square-foot addition to Union Station offers 10 food retailers and seating for 600. It’s the first area to open as part of the lower retail level, and the latest of multiple retail openings. When the City wraps up that work later this year, they’ll hand the area over to us to customize. That work will take several months to complete. To make trips even faster and easier while improving passenger accessibility, we also continue to build more stairs and elevators to train platforms, and repair existing ones. This work will require future boarding adjustments that may affect how you get to your train. We’ll keep you informed about any impacts to your journey. To get updates sent directly to your inbox or phone, sign up for On the GO alerts at onthegoalerts.gotransit.com.